ITS leaders bolstered relations with Splunk during a visit last week by the company’s President of Worldwide Field Operations. 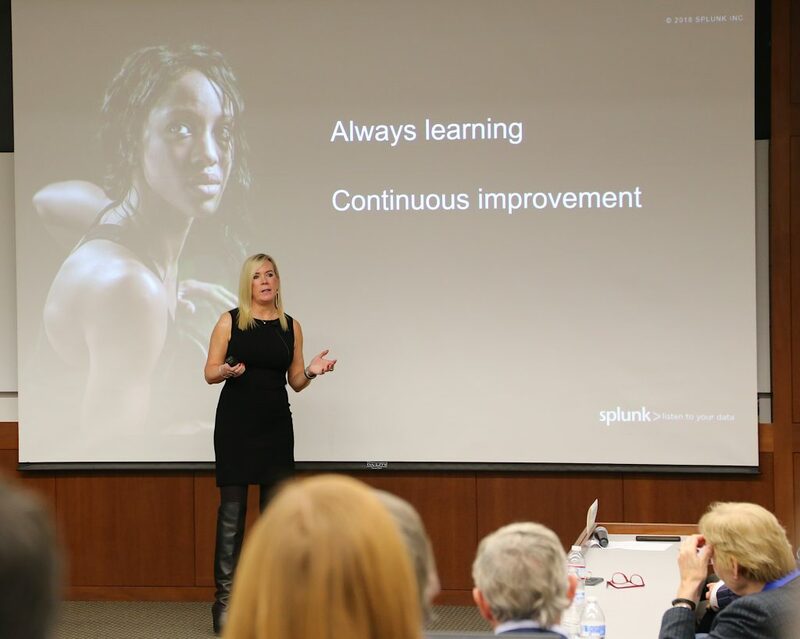 On January 15, Splunk’s Susan St. 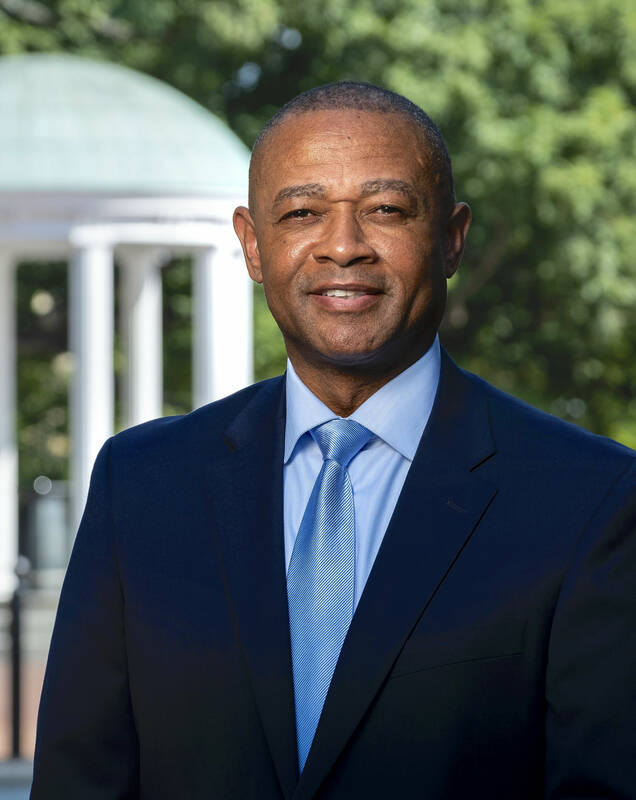 Ledger met with UNC-Chapel Hill leadership for part of the day and joined the Kenan Institute to present a Dean’s Speaker Series talk at the Kenan Center. Talking about partnership possibilities with St. Ledger and her team “renewed discussions of how we can further the usage and expansion of our Splunk environment,” said Patrick Casey, Director of Middleware Services at ITS. The University uses Splunk as a log aggregation system and as a reporting engine for both machine and business data. Splunk has the ability to make complex systems look simple by creating custom reports and dashboards. UNC-Chapel Hill has been a Splunk customer for nine years. The University has 650 Splunk users from 95 departments or units. These users execute more than 34,000 searches daily. “As part of the vendor management process, it is to our advantage to have a strong relationship with Splunk,” said John Mack, Assistant Vice Chancellor of ITS Infrastructure & Operations. St. Ledger acknowledged that Splunk has under served higher education. The company wants to do more. Splunk is looking to create a Splunk Education Advisory Group to learn more about how it may better serve higher education. The University has 16 key success stories, Mack said. St. Ledger “was impressed with our use cases and she is looking forward to strengthening a partnership with UNC-Chapel Hill,” he said. One Splunk user who St. Ledger singled out was Matt Bernacki, a professor came to UNC-Chapel Hill in 2018 from the University of Nevada, Las Vegas. While at UNLV, Bernacki used Splunk to develop predictive models for student success. He is continuing that work at Carolina. In fact, Bernacki and other researchers have received a $2 million grant from the National Science Foundation to create new ways to assist college students who are struggling in math and science courses. The $2 million grant is shared across three institutions. Carolina’s portion is $1 million. “We are embarking on a critical milestone where Splunk will be leveraged” via this $1 million grant to determine student success by the School of Education, Mack said. St. Ledger will investigate the reason for the training changes that Splunk made. She now understands the negative impact those changes will have on the University’s 132 certifications that will expire this year. In her presentation at the Kenan Center, St. Ledger also addressed how Splunk’s customers are using data analytics for security, operations and beyond to accelerate business and outcomes. In addition to Bernack’s predictive models for student success, St. Ledger cited Domino’s Pizza for e-commerce and nonprofit Global Emancipation Network for fighting human trafficking.